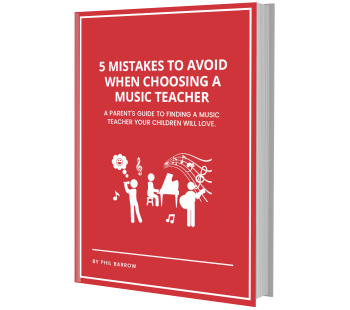 Search the App Store for music learning apps, and you’ll see thousands of results. How can you tell which ones are worth your money? Rather than perform trial and error each time to try and find the right one for you, we’ve compiled a list of our top five musical learning apps for you to check out. This app is handy for helping anyone learn sheet music. You can practice reading notes in the treble clef, bass clef, or both, which is helpful for students learning piano. Test your skills on the bus in the morning or between classes. Take a short 5, 10, or 15-minute test, then review mistakes and track your progress. Music Tutor is available in the iOS App Store and Android App store. The free version has ads, which you can disable for $2.79. Do you keep missing out on practicing your guitar because of your hectic schedule? Well then you should try out the 7-Minute Guitar app. This was designed for people like you with little time and plenty of excuses not to practice guitar. It has a variety of different exercises for you to use that only take 7 minutes. No more excuses, it’s time to practice! Do you dream about rocking out with a band in your non-existent garage? Well you don’t have to let your lack of space or band members stop you. With the Garage Band app you can connect with other real musicians via a touchscreen, and rock out together with true to life sounds. You can also record your own tracks or use the built-in smart guitar, piano, drum kit, or string section. Tab Tool Kit is really helpful if you depend on tabs a lot when learning. You can upload your own sheet music or browse their library of tabs. You can also use the multi-track playback and choose from a variety of instruments – you’re not just limited to guitar. You can even transpose a solo from one instrument to another. Metronome or Metronome Beats for Android is one of the most widely used apps now for budding pianists. It’s easy to use and helps you keep rhythm and tempo right from the convenience of your mobile device. Guitar Tuna is a free tuner app for iOS and Android that every beginner guitar student should get. It teaches the names of the strings and how to tune your guitar by yourself. It also has a built-in metronome and a few other additional features. Once downloaded, you’ll never want to use another tuner! More and more budding musicians are turning towards the world of apps to help them learn and form those habits that are necessary for learning music. There are a myriad of apps available that can guide and assist you in improving your musical craft. You can download a guitar tuner, chord library, or even effects emulators, so these five apps are just the tip of the iceberg. Try out a few of these to help get you started.